Bankruptcy Information | Is It Time to Consider Bankruptcy? Home > Bankruptcy Basics > Is It Time to Consider Bankruptcy? 07 Dec Is It Time to Consider Bankruptcy? How do you know when it’s time to consider bankruptcy? 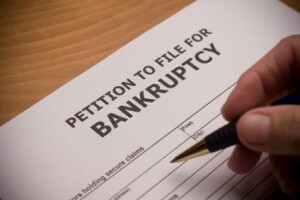 Are your finances in bad enough shape to justify filing bankruptcy? Too bad for it to matter? Not bad enough to even consider it? Here are some factors I think are important in deciding whether it’s time to explore whether bankruptcy is an option for you. 1. Is your financial distress affecting your life? That is he number one question you should ask yourself. Are you losing sleep? Is the stress affecting your relationships? Are you depressed, anxious, or just plain old-fashioned miserable? Even when you are making all your payments, even when your credit score is still pretty good, if you are feeling the stress of your personal house of (credit) cards about to fall down, it’s a good time tothink about bankruptcy. And certainly if the situation has progressed to the point that you are getting nasty phone callsand threatening letters, it’s time to face the fact that bankruptcy may be your best option. 2. Is your home in foreclosure? This isa no-brainer. Even if you are applying for mortgage modification, unless you have access to enough money to bring your regular mortgage payment current, you shouldexplore the possibility of a Chapter 13 bankruptcy in order to stop a foreclosure and save your home. By the same token, even if you have decidedthat you can’t afford to keep your home, and plan to let the lender foreclose, you need to look at whetheryou are likely to owe anything afterthat foreclosure and what effect that debtmay have on you and other property you own.Sometimesyou need a bankruptcy even if you aren’t trying to keep your home.Don’t wait to find out what your options are until it’s too late to take advantage of them. 3. Are you subject to a wage garnishment, especially one that is creating a hardship? Some wage garnishments, even for things like taxes, can be modified or eliminated by a bankruptcy. Even if the debt in question (like taxes, or child support) can’t be discharged in bankruptcy, you may be able to control how the payments are allocated and save money, or extend the term of repayment, or modify other obligations to make the problem payments easier to make. Don’t assume bankruptcy won’t help if a judgment or garnishment is already in place. Bankruptcy may still be your best option. 4. Are you able to save? Even if you don’t have a single obligation that is past due, if you are unable to pay more than minimum payments and still have money left over for savings, you may need to consider bankruptcy. If all of your disposable income is going to pay for debt service, it is only a matter of time before something happens that will set off a downward spiral in your finances. Whether its a layoff, an illness, a major repair to your home or vehicle, or something else, we all get hit with life’s calamities at some point or another. If you haven’t been lately, count your blessings, and get ready. If you feel like you’ve been living under a little black cloud, I sympathize, and wish I could tell you it would soon be over. Unfortunately, just because you’ve been experiencing a run of bad luck doesn’t mean you won’t have more bad luck in the immediate future. Life is funny that way, and you need to be prepared. If you can’t save, you can’t be prepared, and sooner or later the karma fairy is going to thump you on the head. It’s a good idea to explore your options before things get too bad. A reputable bankruptcy attorney will tell you if it’s too soon to file bankruptcy, or if you should wait to see what develops. Almost everyone waits too long to consider bankruptcy–you could be the exception. This is not, by any means, an exhaustive list of reasons to consider bankruptcy; it’s only a few of the indications you might consider. But it’s never too early to know what’s available, and it may save you time, money, and aggravation to be prepared.